†Limited time lease offer based on a new and previously unregistered 2019 Acura MDX Base (YD4H2KJNX) // model shown, a 2019 MDX A-SPEC (YD4H0KK) with optional colour upgrade available through Acura Financial Services on approved credit. Representative lease example: 1.9% // 1.9% (4.34% effective APR) lease rate for 36 months (78 payments). Bi-weekly payment is $258 // $308 with $5,700 // $5,600 down payment. 16,000 km allowance/year; charge of $0.15/km for excess kilometres. Total lease obligation is $25,824 // $29,624. Lease payment includes freight and PDI of $2,075 and applicable fees/levies/duties (all of which may vary by region and/or dealer) but does not include lien registration fee up to $70.75 and lien registering agent fee of $5.00, which are due at time of delivery. Taxes, insurance, licence and registration fees (all of which may vary by region) are extra. ‡$6,500 cash rebate available only on the cash purchase of new and previously unregistered 2019 Acura MDX A-SPEC (YD4H0KK), MDX Elite (YD4H8KKN), MDX Elite 6P (YD4H0KKN) models from an authorized Acura dealer when registered and delivered before April 30, 2019. Total incentives consist of: (i) $3,500 that cannot be combined with lease/finance offers; and (ii) $3,000 that can be combined with lease/finance offers. All incentives will be deducted from the negotiated selling price after taxes. Some terms/conditions apply. Model shown for illustration purposes only. Offers end April 30, 2019 and are subject to change or cancellation without notice. Dealer may sell/lease for less. Dealer order/trade may be necessary. While quantities last. Certain features only available on certain trims. Visit acura.ca or your Acura dealer for details. © 2019 Acura, a division of Honda Canada Inc.
†Limited time lease offer based on a new and previously unregistered 2019 TLX Base (UB1F3KJ) // model shown, a 2019 TLX SH-AWD® Elite A-SPEC (UB3F8KKN) with optional colour upgrade available through Acura Financial Services on approved credit. Representative lease example: 0.9% // 0.9% (2.11% effective APR) lease rate for 36 months (78 payments). Bi-weekly payment is $158 // $238 with $4,250 // $4,950 down payment. 16,000 km allowance/year; charge of $0.15/km for excess kilometres. Total lease obligation is $16,574 // $23,514. Lease payment includes freight and PDI of $2,075 and applicable fees/levies/duties (all of which may vary by region and/or dealer) but does not include lien registration fee up to $70.75 and lien registering agent fee of $5.00, which are due at time of delivery. Taxes, insurance, licence and registration fees (all of which may vary by region) are extra. ‡$5,000 cash rebate available only on the cash purchase of new and previously unregistered 2019 Acura TLX Tech (UB1F5KKN), TLX Tech A-SPEC (UB1F6KKN), TLX SH-AWD® Tech (UB3F5KKN), TLX SH-AWD® Tech A-SPEC (UB3F6KKN), TLX SH-AWD® Elite (UB3F8KKNX), and TLX SH-AWD® Elite A-SPEC (UB3F8KKN) models from an authorized Acura dealer when registered and delivered before April 30, 2019. Total incentives consist of: (i) $1,500 that cannot be combined with lease/finance offers; and (ii) $3,500 that can be combined with lease/finance offers. All incentives will be deducted from the negotiated selling price after taxes. Some terms/conditions apply. Model shown for illustration purposes only. Offers end April 30, 2019 and are subject to change or cancellation without notice. Dealer may sell/lease for less. Dealer order/trade may be necessary. While quantities last. Certain features only available on certain trims. Visit acura.ca or your Acura dealer for details. © 2019 Acura, a division of Honda Canada Inc.
†Limited time lease offer based on a new and previously unregistered 2019 Acura ILX Premium A-SPEC (DE2F8KJ) with optional colour upgrade available through Acura Financial Services on approved credit. Representative lease example: 0.9% (2.12% effective APR) lease rate for 36 months (156 payments). Weekly payment is $68 with $5,500 down payment. 16,000 km allowance/year; charge of $0.12/km for excess kilometres. Total lease obligation is $16,108. Lease payment includes freight and PDI of $2,075 and applicable fees/levies/duties (all of which may vary by region and/or dealer) but does not include lien registration fee up to $70.75 and lien registering agent fee of $5.00, which are due at time of delivery. Taxes, insurance, licence and registration fees (all of which may vary by region) are extra. ‡$3,000 cash rebate available only on the cash purchase of new and previously unregistered 2019 Acura ILX Premium (DE2F7KJN), Premium A-SPEC (DE2F8KJ), and Tech A-SPEC (DE2F8KK) models from an authorized Acura dealer when registered and delivered before April 30, 2019. Total incentives consist of: (i) $1,000 that cannot be combined with lease/finance offers; and (ii) $2,000 that can be combined with lease/finance offers. All incentives will be deducted from the negotiated selling price after taxes. Some terms/conditions apply. Model shown for illustration purposes only. Offers end April 30, 2019 and are subject to change or cancellation without notice. Dealer may sell/lease for less. Dealer order/trade may be necessary. While quantities last. Certain features only available on certain trims. Visit acura.ca or your Acura dealer for details. © 2019 Acura, a division of Honda Canada Inc. Excellent customer service! I recently purchased a vehicle from this dealership and the experience was great. Very professional and helpful, Sales Consultant Shobhit Kumar was a pleasure to work with. He went the extra mile to make this experience one to remember. 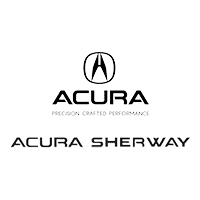 Overall, I definitely recommend Sherway Acura; a pleasant experience! Keep it up! One of the best vehicle purchasing experiences I have had. The sales consultant Mohammad was very descriptive and helpful in explaining exactly what I was getting into in terms of the car and the entire sale. Worked very well with me to get the desired payments and everything I needed. The manager Omar was also very helpful in meeting my demands. Overall a great experience. I was in the market for a BMW X5, when passing by I decided to drop in and have a peek at the Mdx. I dealt with shobhit Kumar who showed me the value in Acura’s and worked with me without being pushy . It’s Nice to deal with a true car guy who knows a lot about his competition. I was really impressed, both by the dealership and awesome service provided by the entire staff including Ali Q, and Ricardo. We know that if we go above and beyond your expectations, you’ll want to come back for all of your new vehicle needs. It’s just good business to make sure we treat you with the level of customer service you are looking for at every visit. Apply for pre-approval at our finance center. At Acura Sherway, keeping your Acura vehicle running perfectly is our specialty. We have a dedicated team of highly-trained technicians and service advisors who are here for you and your vehicle and will make sure it stays in perfect condition.